Tesla: Musk’s tweet a bridge too far? New York: Tesla chief executive Elon Musk got into legal hot water this week after announcing on Twitter he had sufficient financing already in hand to take the electric automaker private. Many in US financial circles are wondering where he will he get all this money, and have turned sceptical despite the reverence in which they normally hold Musk, who founded the company in 2003 to transform cars into tech marvels. The transaction could amount to at least $50 billion (Dh183.65 billion) if Musk keeps his 20 per cent stake in the company. On Tuesday, the irascible entrepreneur tweeted that funding for the transaction at $420 a share had been “secured,” but offered no proof or documentation. A classic way of de-listing from stock markets is a leveraged buyout, a deal in which investors purchase a company’s equity and finance this with loans. But none of the six major US banks has offered to lend the necessary amount to Musk, and they learnt about the plans on Twitter with the rest of the public, several banking sources told AFP. “We were not aware of any transaction. We haven’t even heard from Tesla,” one source said, speaking on condition of anonymity. US market regulators are reportedly stepping up their scrutiny of Musk’s claim and have asked Tesla if the CEO’s remarks were genuine. Tesla has been targeted by short sellers — the hedge fund managers Jim Chanos and David Einhorn in particular — who are betting on the company’s failure and, according to S3 partners, have lost more than $4.4 billion since January as Tesla’s share price rose. They have frequently been the target of Musk’s ire, and in announcing the plan this week he cited the advantage of getting away from short-term pressures and the “wild swings” in the stock price. Thomas Farley, former head of the New York Stock Exchange operator NYSE Group, said Wednesday on Twitter the matter would be an “easy one” for the SEC to investigate. “Ask TSLA to show you the agreement(s) signed by their funding source(s) by 5 pm EST that demonstrates funding is ‘secured’ and ‘certain,’” he wrote, using the company’s ticker symbol. “Perhaps he has a few anchor investors and assumes they will work to find more capital,” said Nicholas Colas, co-founder of DataTrek research. He could also seek funding from sovereign wealth funds such as Saudi Arabia’s, which has just taken a stake in Tesla estimated at between 3 per cent and 5 per cent. The cost of such a manoeuvre, banking sources say, would be more affordable, somewhere between $10 billion and $20 billion. ■ Born in South Africa, Elon Musk, who holds US and Canadian nationalities, completed academic work in Ontario and a prestigious business school in Pennsylvania. ■ By 25, he had created Zip2, an online advertising platform, and was a millionaire by age 30 after selling the company to Compaq Computer in 1999. ■ He followed that with the creation of the online bank, X.com, which was later merged into PayPal and in 2002 bought by eBay for $1.5 billion. ■ With $100 million of his early fortune, Musk founded Space Exploration Technologies, or SpaceX, in May 2002. It develops and manufactures space launch vehicles with a focus on advancing the state of rocket technology. ■ Following the financial crisis of 2008, Musk assumed leadership of electric carmaker Tesla as CEO and product architect, positions he still holds today. ■ Forbes estimates Musk’s current wealth at $22.1 billion. He also manages a foundation focused on education, renewable energy and pediatric health. ■ Musk has had a stormy personal life and has been divorced three times - twice from the same woman. He has five living sons. 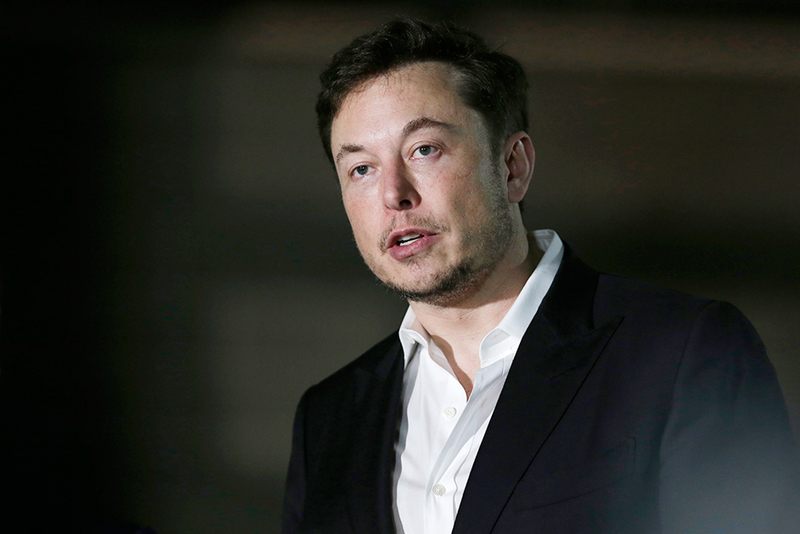 Besides Tesla, his current ventures include SpaceX which aims to “revolutionize space technology, with the ultimate goal of enabling people to live on other planets”. Elon Musk, who envisions sending tourists to the Moon and slashing travel times between major cities with advanced trains, is widely respected in Silicon Valley, where he could tap venture capital. ■ This could help him raise enough funds to take his beloved carmaker Tesla private. He could also seek funding from sovereign wealth funds such as Saudi Arabia’s, which has just taken a stake in Tesla estimated at between three per cent and five per cent. ■ JP Morgan Chase, Goldman Sachs, Morgan Stanley and Citigroup are looking at different ways a Tesla deal might be structured, banking industry sources say. ■ One possibility involves a deal that would persuade most small shareholders to sell their stakes. This way, there would be no floating capital even if shares continued to be tradable on markets. ■ The cost of such a maneuver would be more affordable, somewhere between $10 billion and $20 billion.